Buy now and receive bonuses! Buy one copy of the book and join Dr. Hyman at his live webinar - "End Food Addiction and Stop Your Sugar and Carb Cravings Forever!!!" During this webinar Dr. Hyman will share how, earlier this year, 600 people accepted the challenge to end their food addiction and hit the restart button for a radical change in just 10 days. Join Dr. Hyman for a fun, inspiring, uplifting, and enlightening journey into vibrant well-being and happiness. "A groundbreaking, science- based, Easy-to-follow prescription." "Arrives not a minute too soon." 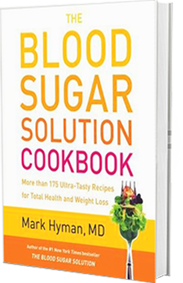 "The Blood Sugar Solution Cookbook is full of recipes that your entire family will enjoy. This might just be the "diet" you can stick to. Highly recommended!" "The chocolate mousse is to die for and I served it to guests who raved about it and didn't even realize it was a healtheir version than they were used to. When Mark promises "ultra tasty" recipes, he means it. I definitely recommend purchasing this book - you won't be sorry!" - Amazon Customer Review, Kathleen Casey "Kathi Casey, The Healthy Boomer Body Expert"
"I was amazed at how good these recipes really are. I am not on Dr. Hyman's diet, but I am following a restricted whole food diet. 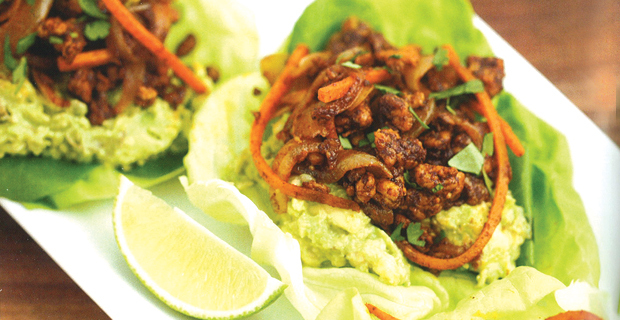 These recipes are not only healthy, but delicious. I would highly recommend this cookbook for anyone, whether or not you are trying to lose weight." Lose Weight and Eat Your Way to Fabulous Health! My goal with any of my plans is to ensure that you're NOT limited to a steady diet of "health foods" that are good for you but may not stimulate your palate. 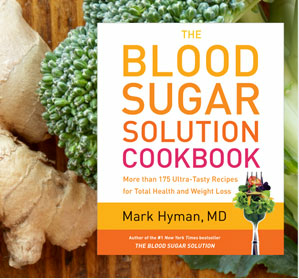 So, after The Blood Sugar Solution reached #1 on The New York Times bestseller list, it didn't take long for the requests to roll in: "Dr. Hyman, can we get more recipes?" Since food is nature's most powerful medicine, I was thrilled that my dietary advice was getting through and that my readers were enjoying the journey. As The Blood Sugar Solution is built on the concept of community I decided to extend that to the recipe book as well. I asked YOU, my loyal health warriors, to help me take back our kitchens and help America start a cooking revolution. Your response was overwhelming! I received over 200 fantastic recipes. Every recipe was tested, and I added several favorite recipes of my own to create this amazing collection of recipes for total health and weight loss success. A protein-rich salsa is a great addition to any meal. Try it with gluten-free seed crackers. In a saucepan, bring about 2 quarts of water to a boil over high heat. Add the shrimp and cook until just pink, 2 - 3 minutes. Drain the shrimp, reserving 1/4 cup of the cooking liquid, and transfer the shrimp to a large bowl of ice water to stop them from cooking further. Once the shrimp are cold, drain and chop them into bite- size chunks. Add the shrimp pieces to a large nonreactive container along with the onion, tomatoes, jalapeno, avocados, cilantro, garlic, lime juice, and tomato sauce. Season generously with salt and pepper and mix well. Cover the container and put it in the refrigerator to marinate for at least 3 hours. Serve as a dip with crunchy vegetables. 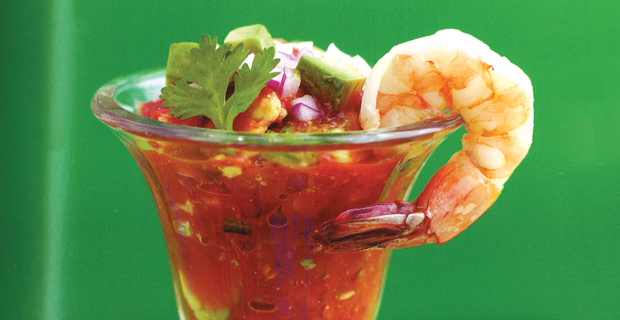 Any leftover shrimp salsa can be stored in the refrigerator for up to 3 days. 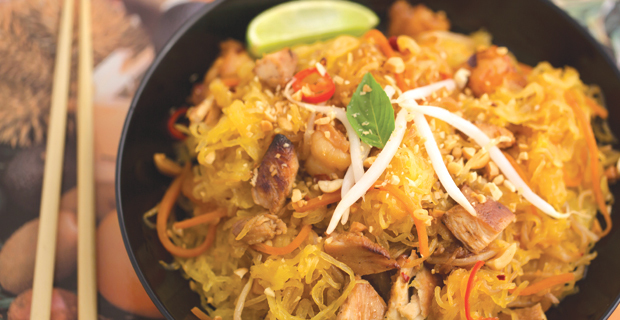 In this classic Thai dish you can maximize your nutrition by trading carbohydrate-rich rice noodles for low-glycemic and vitamin-A-rich spaghetti squash. You'll find Thai fish sauce in your local Asian or natural food market, or in the international aisle of most large supermarkets. Brush the cut sides of the squash with 1 tablespoon of the peanut oil. Place the squash, cut sides down, on a baking sheet and roast for 30-40 minutes. The squash is cooked when a knife easily pierces through the skin and flesh. Let cool, use a fork to shred the flesh into spaghetti-like strands, and set aside. In a small bowl stir together the fish sauce, tamari, and red pepper flakes. Set aside. Heat 1 tablespoon of the oil in a large wok or large cast-iron pan over medium-high heat. Add the egg and cook until scrambled, 30-60 seconds, breaking it up. Transfer to a plate and reserve. Pour another tablespoon of the oil into the wok and stir-fry the garlic until aromatic. Season the chicken with a little salt and add it to the pan. Stir-fry the chicken until golden brown, about 4 minutes. Push the chicken to the side and add the shrimp in the center of the pan. Stir frequently until the shrimp are pink and firm, about 3 minutes. I held a recipe contest and this recipe won in the Advanced Plan category. My son and his friends love this easy-to-make treat. It's tangy, tasty, and unusual spicy turkey with crisp watercress, creamy avocado, and crunchy romaine leaves. More delicious recipes in the book!